I would love to try this method of applique. Sounds like a great book! I find hand applique very relaxing. Thank you for giving away the book. That looks like some interesting unique flower applique, almost whimsical. ooops! my name got goofed up on the previous post :-/ See you soon! i would love to win this new book. 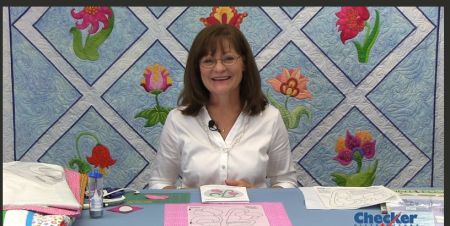 applique is one of my favorite quilting activities and i would love to try Rebeccas new methods. I would love to win the book – thanks for the give away! Looks like a fantastic book. Thanks for the chance to win a copy. 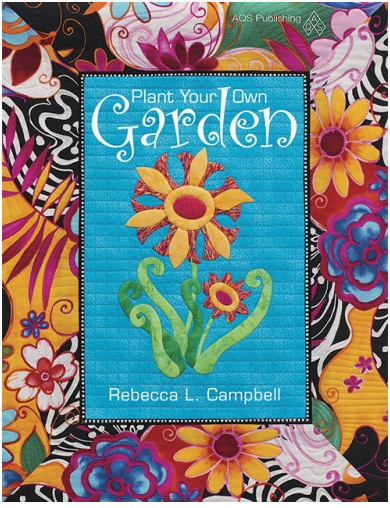 I am interested in hand applique and would love to own this book. Wow! I’m a longtime appliquer and was astounded at the great, time-saving ideas in the video. To think I no longer have to trace……FABULOUS! Thank you Kay for yet another great referral. Love your posts! Love flowers and Applique’, sounds like just the thing for me. Thanks for the opportunity to win this booklet. i love to applique this looks like a easy way to appliue, would love to win this great book! Thanks for a chance to win! I’d love to learn your techniques. Need all the help I can get with my appliqué technique. I love all of the pictures in your books. They truly do make understanding your techniques so much easier. And I’d love to win a copy of your newest book! Rebecca has answered my prayers as someone new to turned edge applique. I would love to win this book. Thanks the opportunity Kay. These designs would make marvelous Monthly Mini’s at Guild Meetings. A delightful books. Would love to have this book. Thanks for the chance. I’m more of a machine appliquer, but this book sounds interesting. Thanks for a chance to win it. I think I would like to try her method of trapunto without stuffing. Sometimes I lose my patience when doing that so this book would help me remain calm. What a nice summary of Rebecca and her book – they both sound so neat! Such a wonderful video! I’m a long time quilter and have always run, run, run from hand applique. This method inspires me to give it a try.. And the Plant Your Own Garden book would be a great guide for a new adventure! I recently started to seriously applique. I badly broke my ankle in May and to keep my sanity throughout my recovery/healing, I started a 25 block “Broken Ankle Therapy” applique quilt! Excellent therapy! Being new to applique and quilting, I can use all the help I can get! Flowers are the genre I have chosen to work with. I love applique BUT I need lot of practice. The book would be a treasure.